Pete Shaw and Paul Clapham, who helped John, his wife Frances and myself put things away afterwards. Sandra Blackburn, who donated refreshments. Nic Wright and Nick McLean for their donations. U160: First equal: Matthew Wyza and Stephane Pedder. 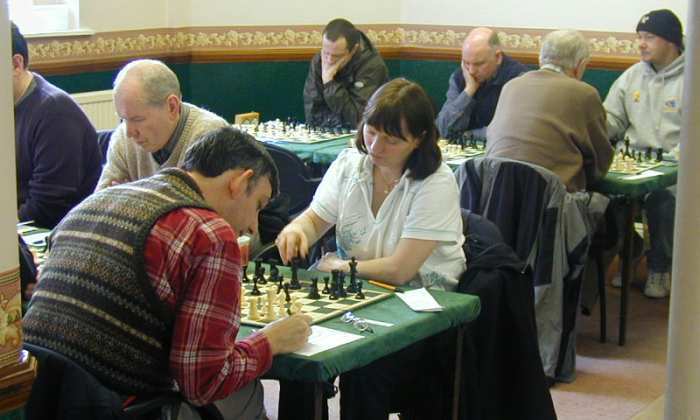 U130: First: Karl Walklate, Second equal: Sandra Blackburn, Clive Ferry , George Scattergood. 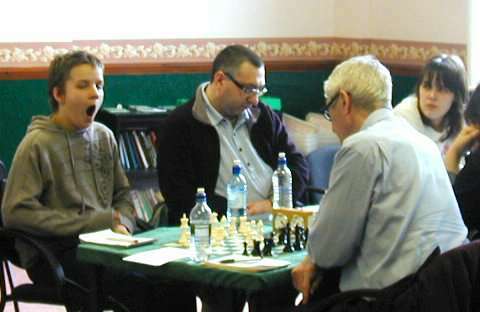 In the main room George Scattergood gets in some practice with son Ben whilst in the Analysis Room Pete Shaw makes a point to John Day.